NORTH KIRRA BEACH – Surf race record holder Ky Hurst started his 2015 Australian Surf Life Saving Championships campaign in familiar style by winning the Restricted Surf Race final. Hurst, the 10-times winner of the open surf race, claimed his fourth gold medal in the Restricted race, which is for swimmers aged 24 and over. 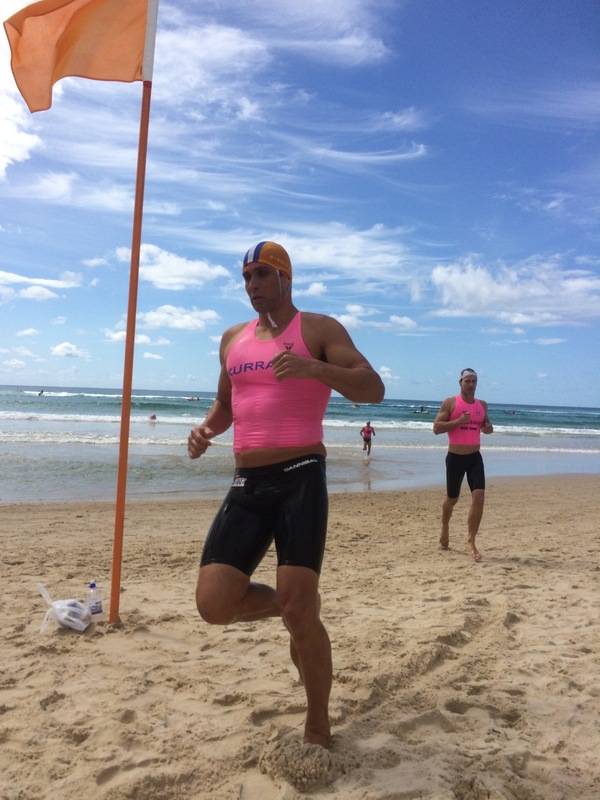 The 34-year-old from Kurrawa outswam and outsprinted ironman champion Shannon Eckstein (Northcliffe), with Nathan Smith (Manly) in third place. It was an important hit-out and confidence booster for Hurst, who will face plenty of challengers for his Open Surf Race crown later in the carnival. “I’m happy to get a final out of the way. It’s only Wednesday and we’ve got a long week ahead,” he said. “Most of the best surf swimmers in the country are over 24 so it’s like we have two surf race finals. Hurst, Eckstein and Smith are set to clash plenty of times throughout the championships, with one of their next confrontations likely to come in today’s Surf Teams final, where Eckstein, with his Northcliffe team of younger brother Caine Eckstein, Jordan Harrison and Sam Sheppard, will be chasing an eighth consecutive gold medal. SW…Thanks for bringing these Surf Life Saving results from Down Under!